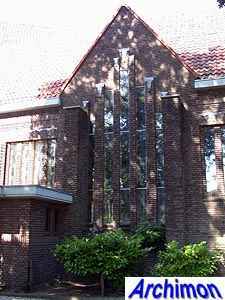 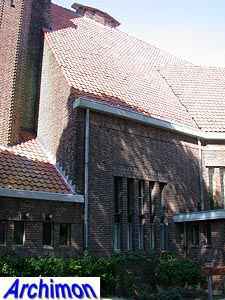 Although the Reformed built few churches in a truly expressive form of Expressionism, the Nieuwe Kerk ('new church') in Zeist is an important exception. 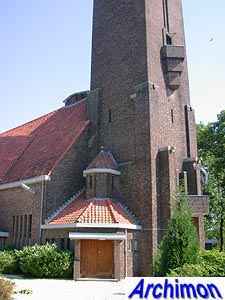 It was designed by local architects J.M. 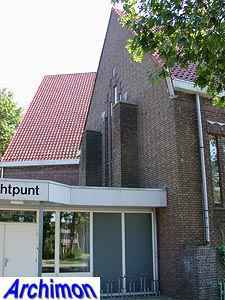 Paap and J.J. van Straalen and is probably their only church. 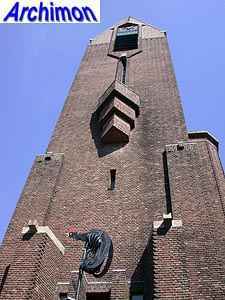 The starting point for the design was the idea that the pulpit should be at the center of attention. 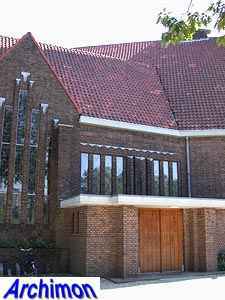 The architects chose an unconventional solution; they designed a ground plan made up of three rectangular spaces, which all pointed to the same direction. 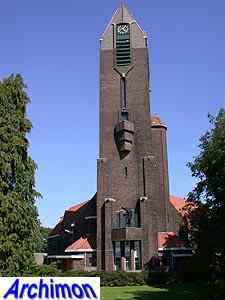 Seen from the air, the church is shaped like an arrow. 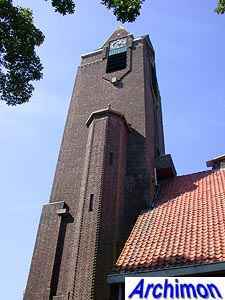 At the front is a tall tower. 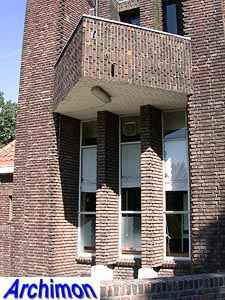 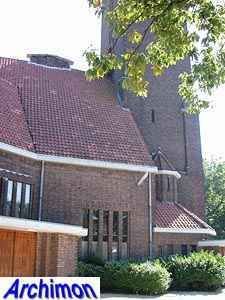 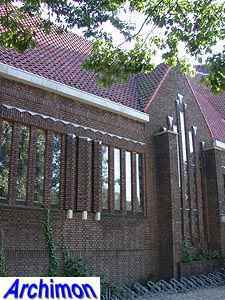 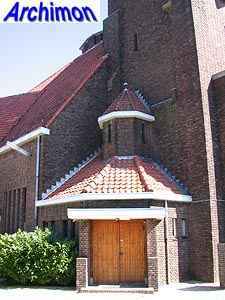 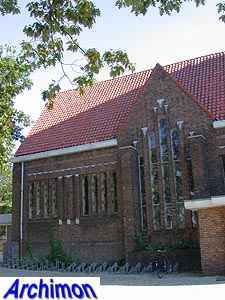 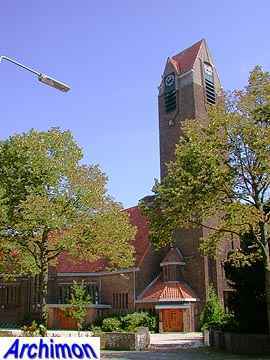 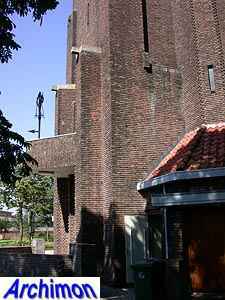 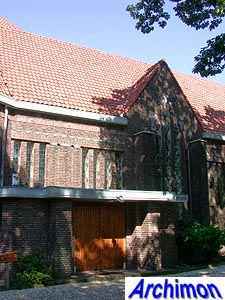 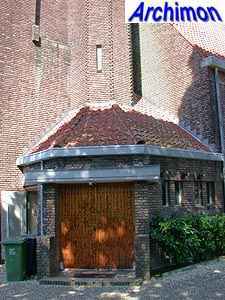 The whole church is in the expressionist style of the Amsterdam School, with its typical decorative use of brickwork.